HAHAHA! Good Oscar the Grouch joke! Wow, good thing Tony stepped in. That chick is nuts! 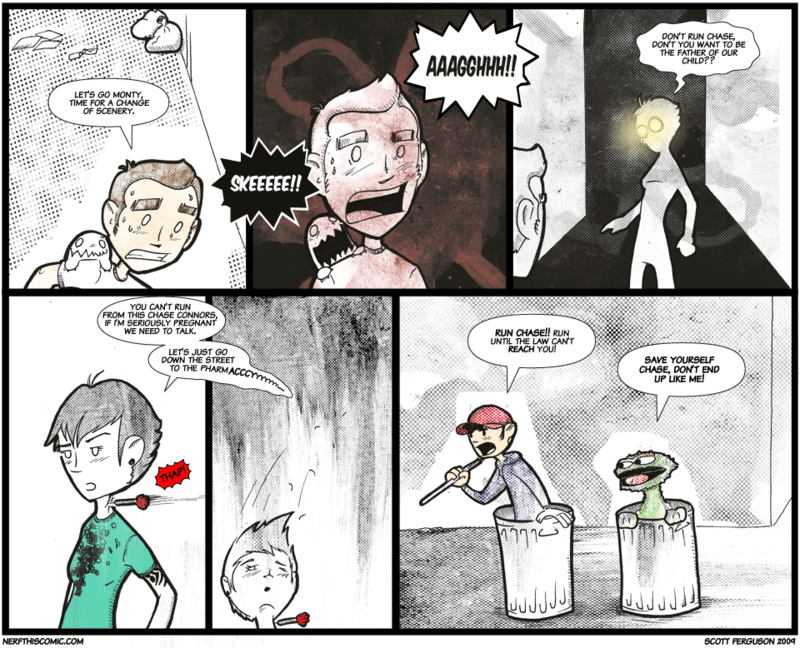 Were you inspired by Dead space for panel three? Next time no glove, no love!! seriously pregnant? More like Hilariously pregnant! In my opinion this is one of Tony’s greatest moments.